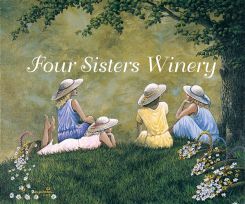 The winery is open as follows: 10-6pm 7days a week through December 24th. May 1 – November 1st open 7 days a week from 10am-6pm Mon, Tuesday, Wednesday Thursday and Sunday; 10am-8pm Friday and Saturday. closed Easter, Thanksgiving, Christmas & New Year’s Day for family and church. Wine Orders, custom wine labels and gift baskets may be placed anytime of the year for scheduled pick-ups or shipping to New Jersey or Florida. Our Cafe’ is open every weekend with new specials every weekend starting May 1st. We always have a delicious cheese and crackers platter and chips and salsa available. Come relax on the deck over looking our farm and vineyards and enjoy a glass of wine and a special menu item. We also have picnic tables out and about on the farm and a sheltered area behind the winery for you to enjoy. Private parties, weddings, bridal showers, anniversaries and birthday parties may be booked at anytime. Our Vintner’s Room can be used throughout the year or our attractive tents from April through October. The winery offers gift baskets or custom labels on hand. Feel free to stop in and look around! Take I-80W, Exit 12 (Hope/Blairstown). Make a left at the bottom of the ramp and continue straight through the flashing light. We are 6 miles from I-80 on the right. From Stroudsburg, Pa:Take I80 East and follow to Route 46 Buttzville exit and follow route 46 to intersection of 46 and 519. Quickchek on the left, White Twp School on the right. Make a left onto route 519 North and the winery is 3miles up on the left. Take I-80E, Exit 12 (Hope/ Blairstown). Make a right at the bottom of the ramp and continue straight through the flashing light. We are 6 miles from I-80 on the right. Make a left at the traffic light at the Junction of R.t 519. Take 519 north for 3 miles. We are on the left. Take Rt. 46W. Pass intersection of Rt. 31 and continue straight until the next light (Jct. Rt. 519). Make a right at the traffic light (Jct. Rt. 519). Take Rt. 519N for 3 miles. We are on the left. Take Rt. 31N to its end. Make a left onto Rt. 46W. At the first light, make a right onto Rt. 519N. We are 3 miles on the left. Take Exit 17 for Rt. 31N. Follow above directions from Rt. 31N. Take first exit in New Jersey for Rt. 22W. Take Rt. 22W to second light and make a right onto Rt. 519N. Follow approx 17 miles (watch signs as 519 makes 2 right turns). Continue straight through light (Jct. Rt. 46). We are 3 miles beyond Rt. 46 on the left. Follow 287 to I-80W. Take I-80W, Exit 12 (Hope/ Blairstown). Make a left at the bottom of the ramp and continue straight through the flashing light. We are 6 miles from I-80 on the right. Take Rt. 206S to I-80W. Take I-80W, Exit 12 (Hope/ Blairstown). Make a left at the bottom of the ramp and continue straight through the flashing light. We are 6 miles from I-80 on the right. From South Jersey – Take the GS Parkway N to I-80W. Take I-80W, Exit 12 (Hope/ Blairstown). Make a left at the bottom of the ramp and continue straight through the flashing light. We are 6 miles from I-80 on the right. Take I-95N to Rt. 31N. Take Rt. 31N to its end. Make a left onto Rt. 46W. At the first light, make a right onto Rt. 519N. We are 3 miles on the left. Take Rt. 22E into NJ. As you approach Phillipsburg, bear left onto Rt. 57. At Centerpointe Liquors turn left onto Rt. 519N. Follow 519N for approx. 17 miles. We are 3 miles beyond Rt. 46 on the left.